The Palmer Children's Trust was founded by Rachel and Julian Palmer following the loss of their daughter, Emilia. Emilia suffered from a very rare lung disease which took her from her parents and sister, Alexandra, a little over 7 months from diagnosis. Through Rachel and Julian's experiences, the Trust focuses on important areas when families are faced with a child or young person who has a life limiting disease or terminal illness. 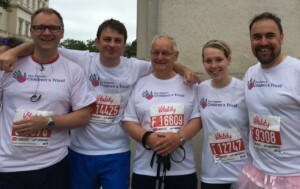 We had a fun day on 10th July at Vitality British 10k Run. The weather was perfect for running: warm, overcast and the occasional bit of rain. So off we went – quick runners (Steve and Dan), not far behind runners (Charlotte and Julian) and walking the route (Geoff) along Piccadilly, up and down Regents Street, into St James’ then down to Trafalgar Square and Nelson’s Column on to St Paul’s Cathedral before running down White Lion Hill and then over Westminster Bridge to Houses of Parliament, round a bit of U turn circling Parliament Square then on to Whitehall. All-in-all a pretty fantastic sightseeing run. We have places for 2017 and 2018. It doesn’t matter how fast or slow, young or old you are, we’d love to hear from you if you fancy running 10k in the heart of London. Asthma is a common condition. Children and young people with uncontrolled asthma experience daily symptoms, frequent asthma attacks, poor school attendance and poor quality of life. Poor adherence to regular treatment is the main cause of uncontrolled asthma but assessing adherence to treatment is challenging. 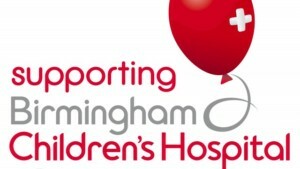 In this study paediatric consultants and specialist nurses from Birmingam Children’s Hospital are using a novel approach to measure adherence objectively which in turn will enable us to provide regular structured feedback and support to children and families. They envisage that improving adherence will have a positive impact on asthma control measures including quality of life. Following an approach from the Royal National Orthopaedic Hospital for a grant towards the redevelopment of its highly-rated hospital school, we have been delighted to pay for 6 iPads and the video conferencing technology that will allow children who are not able to leave their beds to ‘virtually’ attend lessons in the schoolroom whether being delivered by the hospital school or by patients’ own schools. We have five places for @VeloBirmingham. Four have gone: 2 x 7 hrs & 2 x 5.5hrs. Looking for a guy or girl who could finish around 4.5hrs. We are here to support families caring for children or young people who have been diagnosed with life limiting or terminal illness. We supply paediatric wards with iPads, Kindles and IT to help children and young people communicate with their friends, families and schools; and wheelchairs and other equipment for the homes of children or young people. We arrange transportation of children or young people with life limiting or terminal illness and their parents and siblings to attend in and out patient appointments, transplant assessments and treatment away from their local hospital. We can help with transportation, accommodation and substance whilst away from home. Our focus is on rare diseases affecting children and young people. We are supported by leading paediatric consultants and professors of paediatrics and pathology in focusing our resources on translational research. Chester based solicitors Freeman Jones provide client focused legal services to its private clients and businesses. Making a will is a simple way of supporting the Palmer Children’s Trust. Read more. Supercar Drive Days offer driving experiences across the UK and South Africa. Choose from Ferraris, Lamborghinis and more. The company supports us through fundraising events and experience vouchers. Read more. Andrews Ritson are located in the Shropshire town of Bridgnorth. Known primarily for their commercial legal advice, they have recently added a full private client division. Make a will through Andrews Ritson and we receive a donation. Read more. The oldest teddy bear company in the country hand make beautiful bears including Rosie our fundraising bear. Read more. I have two children and I can only imagine how hard it must be to be told that your child is dying or will suffer from a life threatening disease. That's why I support Julian and Rachel. Emilia was my niece. I saw each day what Rachel and Julian went through worrying about Emilia, but at the same time keeping a family together as normal as it can be.